Fredrikstad, Norway, 16 May 2007 - Four F3+ SXGA+ DLPTM projectors from Norwegian manufacturer projectiondesign are now at the heart of the conferencing facility at the Marshall Centre for European Security Studies, following an installation by systems integrator Screen New Technologies GmbH. Named after George C Marshall, the US-born architect of the Marshall Plan which helped to rebuild Western Europe's shattered economy after the devastation of World War II, the Marshall Centre opened its doors in 1993 in the German town of Garmisch-Partenkirchen. Jointly sponsored by the governments of the US and Germany, the Centre was originally tasked with furthering the cause of stability in post-Cold War Europe. Since then, its remit has been broadened to promote the peaceful co-operation of nations throughout North America, Europe and Eurasia. The Centre's conferencing facility plays a key role in its annual programme, having hosted more than 200 international events since the Centre opened. The centrepiece of the facility's presentation capability is a series of four DNP rear-projection screens, built into the front wall of the auditorium and configured as two pairs of two, either side of the presenter's lectern. Thomas Gaul, Technical Manager at Screen New Technologies GmbH, explains: "Users of the Centre wanted to replace older projector technology to create a stable and bright image. Our solution to this problem was install four projectiondesign F3+ SXGA+ projectors, using the same mirror frames behind the DNP screens. The whole installation took no more than eight hours and the new projectors were seamlessly integrated with the room's Crestron control system." At a stroke, it seems, the Centre's imaging challenges have been solved. "Users of the facility tell us that like the high light output and contrast of the projectiondesign F3+ SXGA+ projectors, and that they are discovering details in images that they had never previously seen," Thomas Gaul continues. 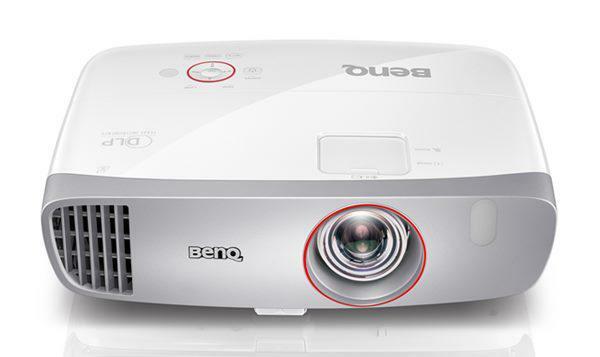 "For many applications they can even use the projectors in economy mode, which brings running costs down." Anders Løkke, Marketing & Communications Manager at projectiondesign, comments: "The Marshall Centre for European Security Studies receives delegates from the worlds of education, government, commerce, security and other fields, and these guests come from over 50 countries. It is gratifying to know that our projectors are delivering a performance which such a high-level audience finds so rewarding, enjoyable and informative to watch."